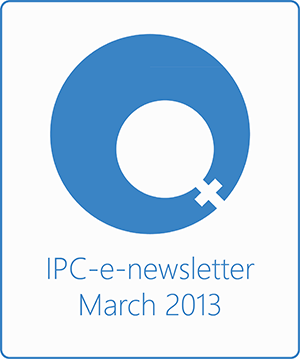 Welcome to the March 2013 edition of the IPC e-newsletter. The IPC e newsletter is distributed free to more than 4000 people around the world. About three months after the accident, things have returned almost back to normal. Walking without supports now. DuPont is facing four lawsuits in West Virginia over exposure to a chemical used by one of its plants. The lawsuits were filed Thursday in U.S. District Court. The cases are separate from an earlier class-action lawsuit that claimed water supplies in West Virginia and Ohio were contaminated with C8. DuPont uses C8 at its Washington Works plant near Parkersburg. The suits allege that the contamination resulted in cancer and other illnesses that a science panel concluded are linked to C8. DuPont spokesman Dan Turner says the company will defend itself against any personal injury lawsuits that aren't based upon valid science. RENO, Nev. – A research team at the University of Nevada, Reno has developed a new environmentally-friendly coating for aluminum to replace the carcinogenic chromate coatings used in aerospace applications. The chromate conversion coatings have been used for more than 50 years to protect aluminum from corrosion. The team presented their research last week at the international Pacific Rim Meeting on Electrochemical and Solid-State Science in Hawaii. MUMBAI: The $38-billion DuPont expects India to be among the top five revenue contributors in the next three-four years as the global growth axis tilts from the West to Asia. At present, India is among the top 10 revenue contributors to the science-based products and services multinational, with emerging markets contributing 38%. Decorative paints major Berger Paints India reported a net profit of Rs 77 crore in the third quarter of the current financial year compared with Rs 49 crore in the corresponding period a year ago, registering a jump of 57 per cent. Net sales grew 17 per cent at Rs 917 crore in the quarter against Rs 781 crore in the same quarter last year. MD & CEO Abhijit Roy said during the quarter subsidiaries in Nepal and Poland performed well, which helped post a stronger profit after tax. “Being a decorative major, the softening of Rutile (key raw material) prices also helped substantially,” he added. NEW DELHI: Paints and coatings maker Akzo Nobel India today reported a net profit of Rs 50.63 crore for the quarter ended December 31, 2012. Mumbai, Maharashtra, India (Asian Paints (Business Wire India)) Asian Paints today launched ColourNext 2013, a research based annual trend forecasting initiative, which predicts the colors that are likely to have the most influence on Indian interiors this year. Currently in its 10th year, ColourNext is the outcome of extensive research spread over six months involving over 100 designers and multi-disciplinary experts from across India. The colors predicted for 2013 fall under five broad themes called Gender Blender, Human, Pockets of Silence, Taste of Earth and Upcycle. Mold-Tek Packaging Limited, a Hyderabad-based plastic packaging product manufacturer with over 25% market share in lube and paint packaging segments, has inaugurated its new plant in Satara district of Maharashtra. The plant, which has commenced commercial production, is exclusively dedicated to the packaging needs of paint company, Asian Paints Limited. McLean, Virginia, February 6, 2013 – CakeBoxx Technologies, developer of the CakeBoxx doorless intermodal shipping containers, announced a strategic partnership agreement with The Valspar Corporation (NYSE:VAL) as its coatings supplier for a new line of containers. Valspar will supply a full line of premium paints and coatings, including Valspar Aquaguard, for the new CakeBoxx line of patented, doorless intermodal cargo shipping containers. CakeBoxx containers provide secure, cost-effective and damage-resistant container options for the global shipping and transportation market. The second China Charity Festival ended in Beijing on January 24. Its theme was to let the charity become an attitude. 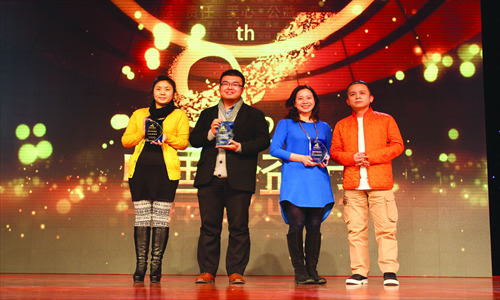 Nippon Paint China, which has a long-held practice of corporate social responsibility, took home three awards at this year's charity festival with their popular "Color, Way of Love" campaign: Best Welfare Innovation, Best Annual Welfare People and the China Welfare Video Award. odising process to the European market. The company, which has set up a dedicated facility for the process near Macclesfield in Cheshire, says the ceramic anodising process gives superior chemical and up to 12% better wear resistance due to its denser surface finish when compared with traditional anodising. (Reuters) - Japan's transport ministry said on Friday its fuel leak probe on a Boeing Co (BA.N) 787 Dreamliner passenger jet indicated the cause to be a coating around the mechanism that controls fuel movement between tanks. RESEARCH TRIANGLE PARK, N.C. – Environmental Science, a division of Bayer CropScience LP, today officially announced the appointment of Gilles Galliou as president of the Environmental Science division North America at Bayer CropScience. ICI Pakistan has announced the appointment of Asif Jooma as chief executive of the company effective from February 25, 2013, according to a press statement issued on Thursday. Jooma brings with him over 28 years of extensive experience in senior commercial and leadership roles.